Ring of Honor has announced that the eagerly anticipated in-ring debut of Villain Enterprises will take place on January 13th at Honor Reigns Supreme. Villain Enterprises (Marty Scurll, Brody King, PCO) will take on the team of Silas Young & The Briscoes. The Best Wrestling on the Planet returns to Concord, N.C., on Sunday, Jan. 13 for Honor Reigns Supreme at Cabarrus Arena. The top stars in Ring of Honor will do battle on a can’t-miss show that will be streamed live worldwide for HonorClub. All roads lead to the G1 Supercard, co-promoted by ROH and New Japan Pro-Wrestling, at sold-out Madison Square Garden on April 6, 2019, and the happenings in Concord undoubtedly will have an impact on the historic show. 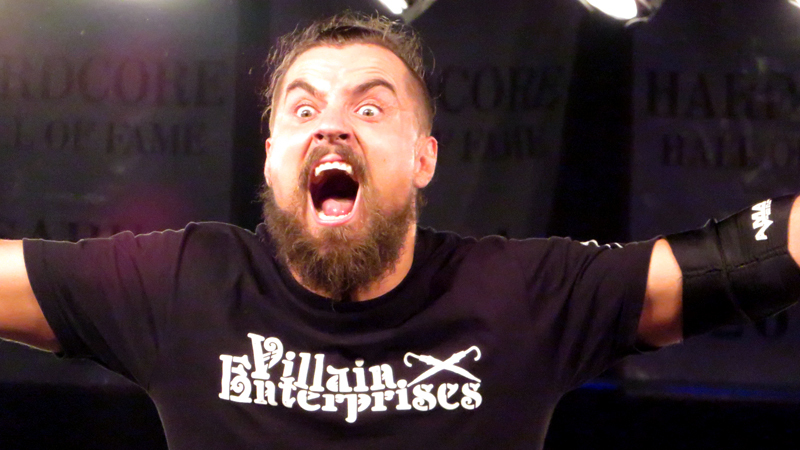 When surrounded by The Kingdom in Philadelphia, “The Villain” Marty Scurll demonstrated he is not alone in ROH following the exit of The Elite. As the lights fell once and then twice, Brody King and PCO made their ROH debuts to assist “The Villain” in ridding the ring of The Kingdom! Scurll declared Villain Enterprises has arrived in ROH! Following the horrific beatdown of The Elite and then World Champion Jay Lethal, Flip Gordon, Best Friends, and Colt Cabana, the World Tag Team Champions The Briscoes, Silas Young, Shane Taylor, and Bully Ray have seemed to have formed a loose alliance, at least one bent on “taking back their Ring of Honor” as was stated in the HonorClub exclusive Elite send off. While the connection between this group of men is unclear, the five ambushed the Elite and then proceeded to fight off their opponents one by one in one of the most horrific scenes in recent ROH memory. The five left bodies laying as they trash talked fans, nearly inciting a riot as the 2300 Arena had to turn off the lights in order to get the group out of the ring, fans safely out of the building, and security involved. The new Villain Enterprises group had left the building at the conclusion of the main event and was not in attendance for the beatdown but has seen the footage. “The Villain”, King, and PCO want their opportunity to stand up to three of the five athletes that caused the near uncontrollable chaos in Philadelphia and they will meet them in the squared circle in Concord! Who will pick up the victory in this HUGE six-man tag team bout? Join us in Concord or watch live on HonorClub to find out! Cabarrus Arena in Concord, N.C.
Meet & Greets: 5 p.m.